Hello how are you? 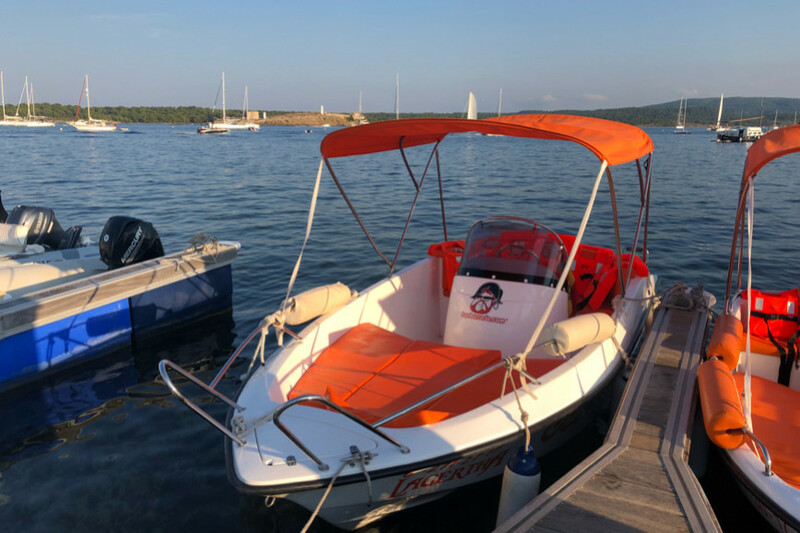 My name is Julieth from the Barbarroja company, thank you for showing interest in my boat, I have departures from the Port of Fornells and from the Port of Addaya to visit only the most beautiful coves of North Menorca. 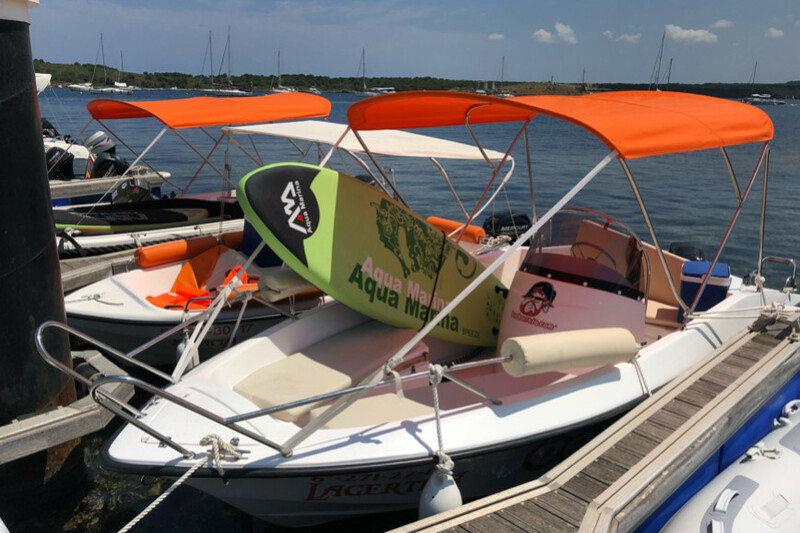 All our boats are easy to use and DO NOT REQUIRE TITLE, NOR EXPERIENCE, however the day you wish to sail will indicate all the instructions necessary for the operation of the boat. 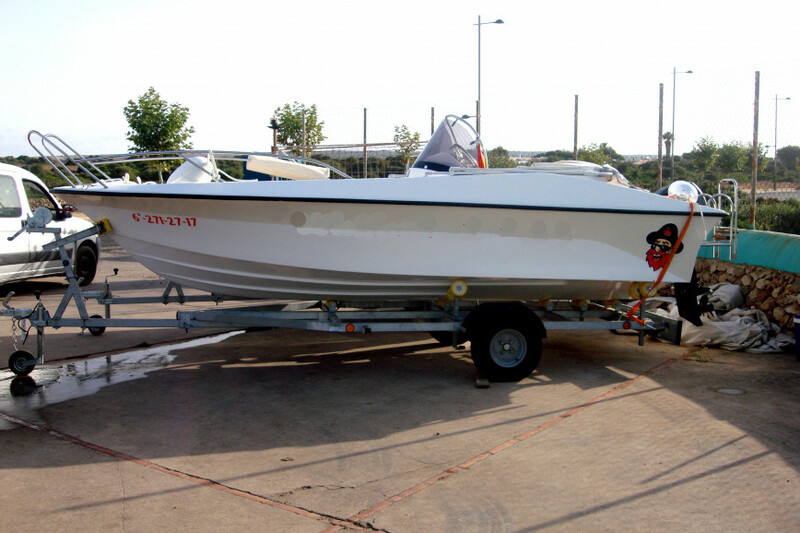 99% of our customers are satisfied and have never sailed in their life. 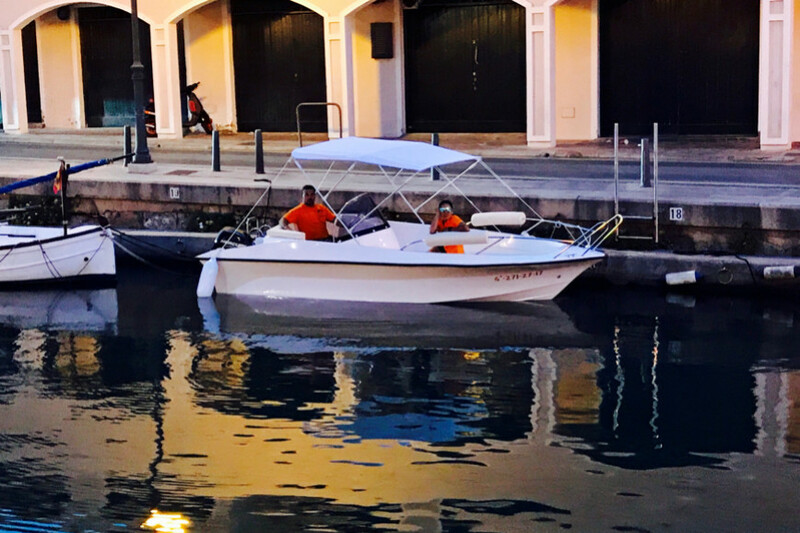 All rentals are without including gasoline, for a half day it is 20 euros and for the whole day it is approximately 40 euros. 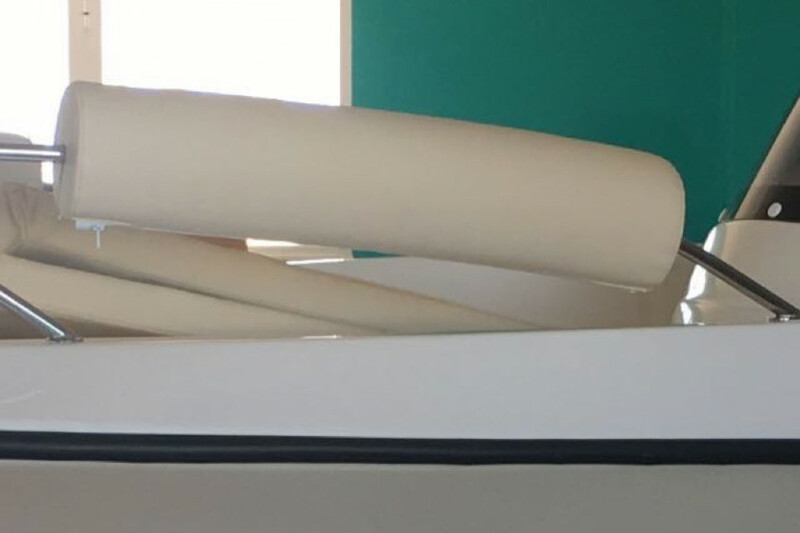 It has anchor in the front of the boat, bimini awning to cover well of the sun, mattresses in the solarium to go as comfortable as possible and a central space to store backpacks and other things. The coves you can visit are from Cala Pregonda, Cala Cavallería, Cala Tiran to the east of the port and at the other end to Cala Tortuga, Cala Pudent, Cala Presili, Arenal Castell to the west of the port and many more around the area. 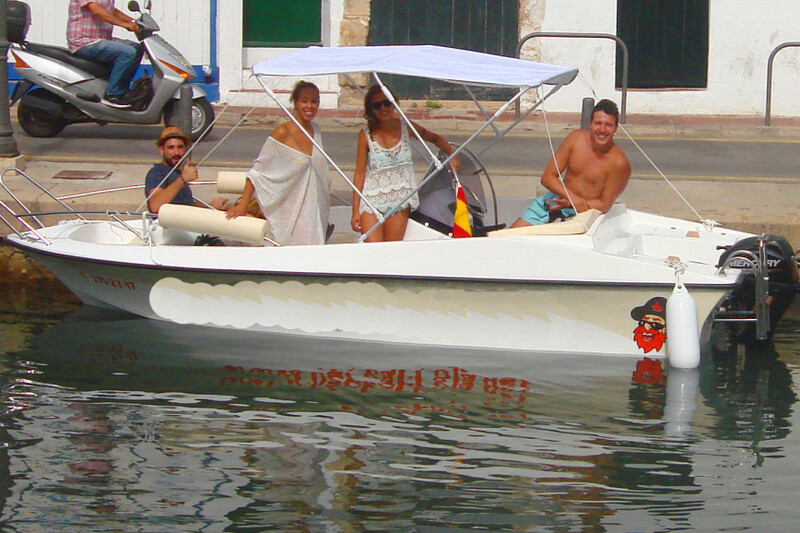 Paddle Surf (€ 20 1/2 day and € 30 full day). To be able to get closer to the shore in a fun way. 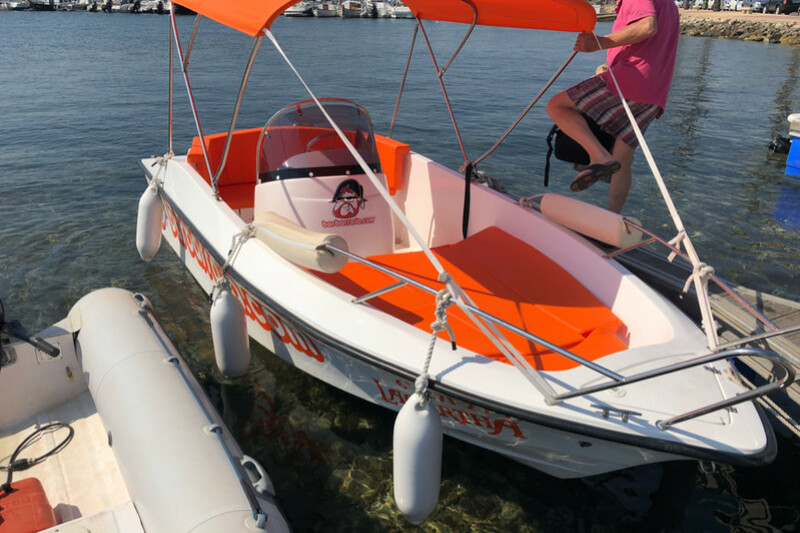 Half day in the afternoon: Check in is at 2:30 p.m. to leave the port at 3:00 p.m. - 7:00 p.m.
Must bring the deposit is 150 euros in cash for faster return if the boat is complete with all its accessories and in the same condition that was delivered for the CheckOut, hence the corresponding gasoline will also be deducted. IMPORTANT TO KNOW: If, for any reason, the weather conditions prevent you from going out to sail, you would be exchanged for the next day and if not, you could get the money back without any problem. 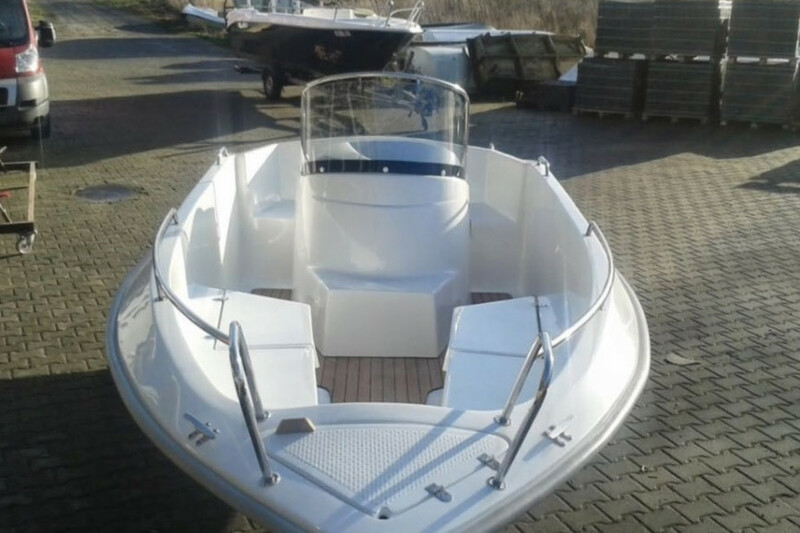 I send this budget so you can make the payment and I can block your boat for the day you request and any questions you have do not hesitate to do it by this chat and as soon as possible I will answer. Thank you so much.